HONOLULU, Hawaii—On Christmas Eve 2014, Malaysian Prime Minister Najib Razak stepped onto Hawaii’s 18-hole Kaneohe Klipper course for a round of golf diplomacy with U.S. President Barack Obama. Off the fairways, another side of Mr. Najib’s time in office was on display. Two days earlier, the prime minister’s credit card was charged $130,625 to Chanel in Honolulu, according to Malaysian investigation documents. A person who works at a Chanel store in the upscale Ala Moana Center recalls Mr. Najib’s wife shopping there just before Christmas. The credit card was paid from one of several private bank accounts owned by Mr. Najib that global investigators believe received hundreds of millions of dollars diverted from a government investment fund set up by the prime minister in 2009. The fund, 1Malaysia Development Bhd., or 1MDB, today is at the center of corruption probes by authorities in Malaysia and at least five other nations. The Malaysian investigation documents, viewed by The Wall Street Journal, contain bank-transfer information that provides the most complete picture to date of the money that flowed through the prime minister’s accounts over a five-year period, the majority of it, investigators say, originating from 1MDB. They show for the first time how some of the money in Mr. Najib’s accounts allegedly was used for personal expenses. That included $15 million in spending on clothes, jewelry and a car, according to the bank-transfer information, involving stores in the U.S., Malaysia, Italy and elsewhere. The disclosures appear to undermine key claims Mr. Najib and his allies have made in his defense, including that none of the money went toward personal expenses. They also detail how Mr. Najib used the funds to operate a large political machine, with money flowing from his accounts to politicians, think tanks and lawyers during a close election in 2013. Mr. Najib, who was seen by Washington as a liberal, Western-friendly leader when he first came into power in 2009, didn’t respond to requests for comment. He has strenuously denied wrongdoing. 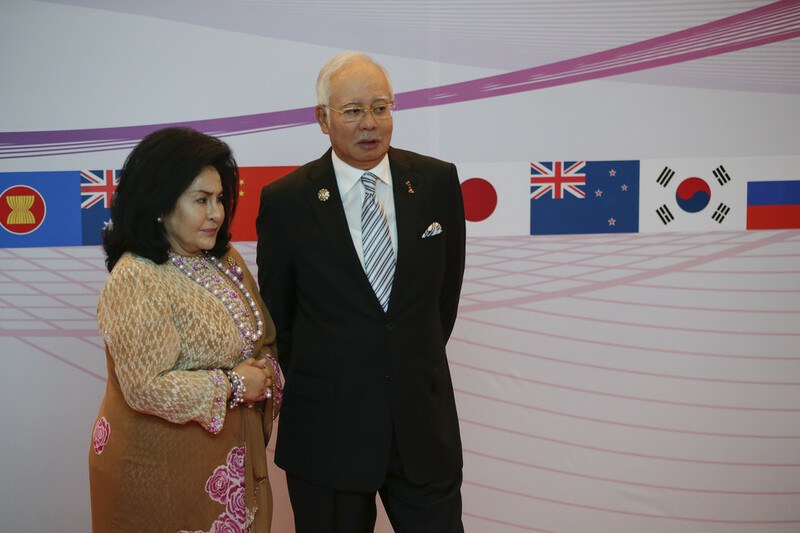 A lawyer for Mr. Najib’s wife, Rosmah Mansor, declined to comment. The 1MDB fund also didn’t respond to questions. It has denied sending money to Mr. Najib’s accounts or other wrongdoing and said it is cooperating with probes. In all, the documents show over $1 billion entered five accounts belonging to Mr. Najib at AmBank Bhd., a Malaysian bank, between 2011 and 2015. As previously reported, $681 million was transferred via a web of entities in March 2013, money which investigators in two countries believe originated with 1MDB, the government fund. Malaysian investigators believe another set of transfers in 2014 and 2015, totaling $25 million, came from an entity known as SRC International Bhd., a company that originally was controlled by 1MDB but was transferred to the Finance Ministry in 2012. Mr. Najib also is the finance minister. Malaysia’s attorney general in January cleared Mr. Najib of wrongdoing, saying $681 million that entered his accounts in 2013 was a legal donation from the Saudi royal family, and that most of it was returned. Mr. Najib’s defenders have said any money spent in Malaysia went for political purposes, which they say is permissible. 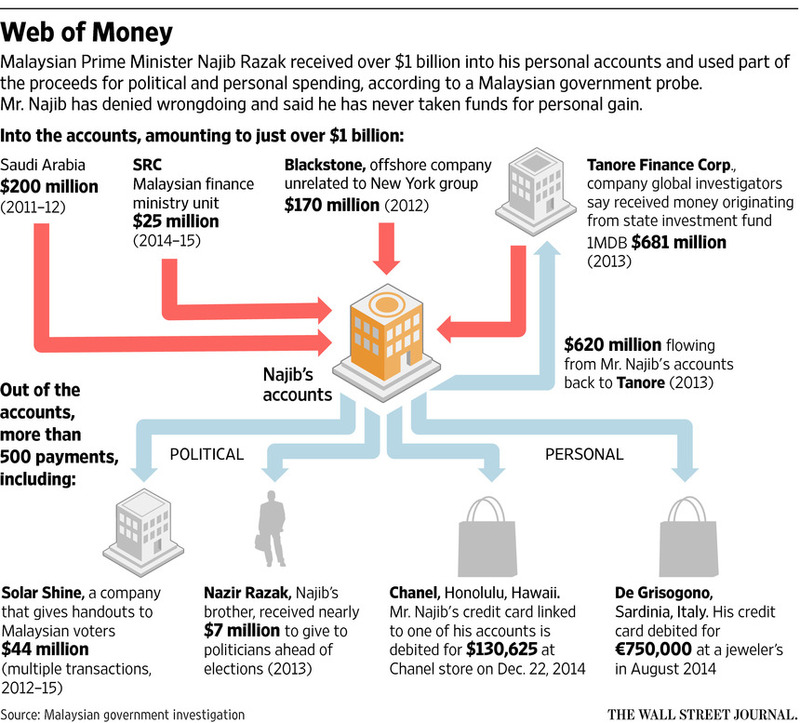 Malaysian authorities haven’t commented on the other money alleged to have entered Mr. Najib’s accounts. The latest Malaysian investigation documents reviewed by the Journal contradict the attorney general’s account. They show transfers from a person in Saudi Arabia and from the country’s finance ministry, but they occurred earlier, in 2011 and 2012, and are of smaller amounts, totaling $200 million. The finance ministry didn’t respond to requests for comment. The documents show the prime minister made more than 500 payments from his accounts, the bulk of them to political players. Tens of millions of dollars of such payments occurred ahead of the May 2013 elections, which Mr. Najib’s party risked losing for the first time since Malaysia’s independence from Britain in 1957. The payments from the prime minister’s accounts at this time included nearly $7 million to the private account of one of Mr. Najib’s four brothers, who is chairman of CIMB Group Holdings Bhd., a government-controlled bank. Nazir Razak, the brother, confirmed to the Journal in a written statement he received the money, which he said was disbursed by bank staff to ruling-party politicians according to the instructions of party leaders. He said he believed the money originated with donations he had helped raise from Malaysian corporations and individuals for the elections. A spokeswoman for CIMB declined to comment. Another transfer of almost $70,000, on July 4, 2014, went to the prime minister’s son, Nor Ashman Najib, according to the documents. Attempts to reach him were unsuccessful. 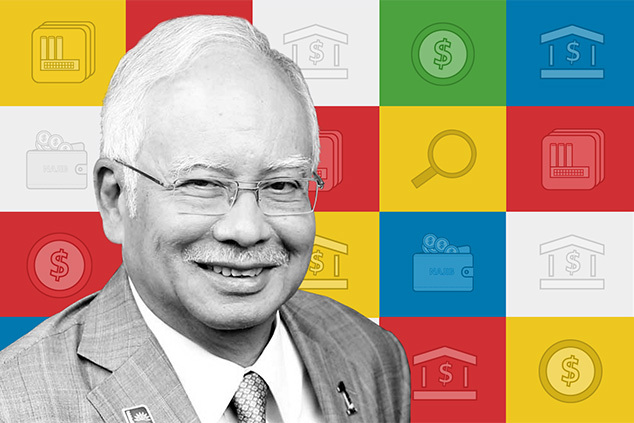 The money flowing to Mr. Najib’s account is only part of a much larger amount that investigators believe was misappropriated from 1MDB, which raised over $11 billion in debt, much of it from global investors. Swiss authorities, who along with the U.S., Hong Kong, Abu Dhabi and Singapore are probing the fund, say 1MDB-related losses from misappropriation could reach $4 billion. Several investigations by Malaysia’s central bank, a parliamentary committee, the country’s auditor general, Malaysia’s antigraft agency and police, are continuing. The Malaysian investigation documents show that around $170 million entered the prime minister’s accounts from other offshore companies set up to look like bona-fide financial giants such as Blackstone Group LP. Investigators in two countries are probing the origin of the money that came from Blackstone Asia Real Estate Partners, a British Virgin Islands company, and whether any of it also originated from 1MDB. A spokeswoman for Blackstone Group said the U.S. company had no knowledge of this offshore entity. A report on Australian Broadcasting Corp.’s Four Corners program said that some of the money transfers into Mr. Najib’s accounts triggered internal money-laundering alarms inside AmBank. The bank didn’t respond to requests for comment. Some $44 million from Mr. Najib’s accounts was recorded as going to a company called Solar Shine Bhd. The firm was used by the ruling party to distribute small handouts like food and stationery to voters around elections, according to newspaper reports and a person familiar with the matter. Ruling-party organizations and think-tanks got large amounts, according to the documents. Attempts to locate Solar Shine weren’t successful. Of the apparent personal spending, one of the most regular recipients of funds from Mr. Najib’s accounts was Jakel Trading Bhd., a Malaysian luxury clothing retailer. Between 2011 and 2014, Mr. Najib transferred over $14 million to Jakel, according to the documents. The company specializes in traditional Malay formal wear, suits, wedding attire and home furnishings. Attempts to reach Jakel weren’t successful. There was a recorded expenditure on June 28, 2011, at Signature Exotic Cars, a car dealership in Kuala Lumpur, for $56,000. Signature’s managing director, Daniel Lim, didn’t respond to a request for comment. Mr. Najib’s credit card also incurred charges of €750,000 in August 2014 at an Italian branch of De Grisogono, a Swiss-owned jewelry store, again being financed from the same account as the expenses in Hawaii, according to bank-transfer information that forms part of the Malaysian government probe. A person who works for De Grisogono confirmed Ms. Rosmah, the prime minister’s wife, was a client of a branch of the jewelers in Porto Cervo, a tony Sardinian resort. De Grisogono declined to comment. She joined Mr. Najib for his 2014 trip to Hawaii, where Mr. Obama was vacationing, which was supposed to help cement Malaysia’s growing role on a global stage. The transaction in the Chanel store was paid for with a Visa card in Mr. Najib’s name, according to the Malaysian investigation documents. At first the transaction didn’t go through and Mr. Najib, who was present, had to call his bank to approve the charge, said one of the people aware of the shopping trip. A spokeswoman for Chanel declined to comment, citing customer privacy. The credit card was paid for by an account in Mr. Najib’s name, the documents show. That account had been credited with $9 million a few months earlier. The money came from SRC International, the former unit of 1MDB that is now part of the finance ministry, according to documents that form part of an investigation into 1MDB by Malaysia’s anticorruption body. On the day Mr. Najib played golf with Mr. Obama, SRC International transferred a further $9 million to the account via 1MDB’s corporate social responsibility arm. The money arrived the day after Christmas. —Giada Zampano, Manuela Mesco and Ahmed Al Omran contributed to this article.